Rugged “Over Engineered” design with heavy duty cast aluminum base and stainless steel platform. · Rugged “Over Engineered” design with heavy duty cast aluminum base and stainless steel platform. · Bright and easy to read LED display provides superior visibility in any lighting condition. 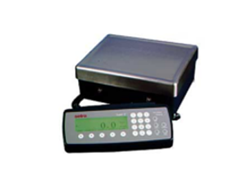 · Simple and easy to use 4-button operation allows almost any one to quickly learn and efficiently use this counting system. Super II combines incredible accuracy with easy-to-read text prompts enhanced by a backlit display. It’s internal database, bar code label making, set points and multiple base connectivity make it truly flexible. Input to the database can be entered on most computer keyboards or from the user friendly, cell phone style keypad. 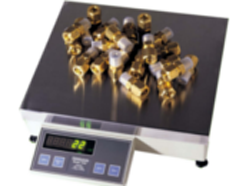 The scale menu that orders up a wide selection of features is easy to access, easy to navigate and easy to exit. 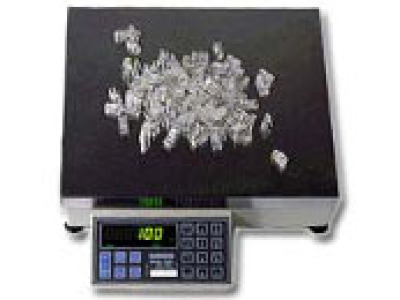 With an internal resolution of 1,000,000, the DC-300 counting scale provides precision and accuracy to any counting application. 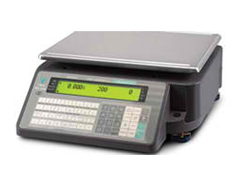 A bright dot matrix LCD display enables operators to easily view quantities, and a second line of alphanumeric text messaging displays operator prompts and part numbers to enable job sequencing. 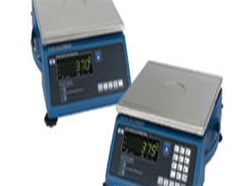 Designed for portable precision weighing and counting in industrial environments. 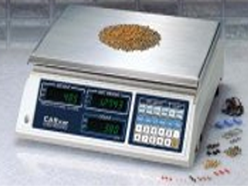 The Model 370 standard menu driven applications simplify use, while the programmable features allow the scale to be customized for application requirements.